Not only has India's property market fizzled, but Axon and CIFF now say they are victims of a massive fraud orchestrated by Ireo co-founder Lalit Goyal -- allegations that Goyal and Ireo have denied. 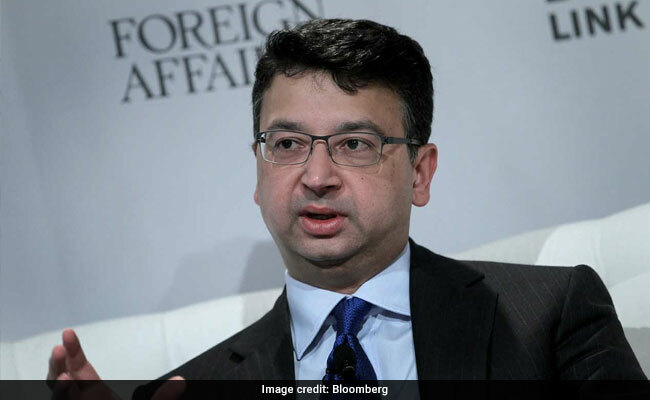 The $1.5 billion India wager that went horribly wrong for some of the world's biggest hedge funds began with a tantalizing offer. It was a rare chance to invest in prime real estate in one of the fastest-growing economies on Earth. The private equity style venture -- steered by a politically connected Indian businessman, a former Goldman Sachs Group Inc. partner, and a one-time principal at Michael Dell's investment firm -- promised to deliver outsized returns with a unique combination of local expertise and world-class corporate governance. Masters of the Universe piled in: Dinakar Singh's Axon Capital, Chris Hohn's Children's Investment Fund Foundation and Ken Griffin's Citadel LLC joined dozens more. Ireo, as the venture was called, quickly became one of the biggest players in Indian real estate. More than a decade on, it's hard to imagine how things could have gone worse. The remarkable turn of events -- details of which have been pieced together from court records, police complaints and interviews with more than two dozen people involved -- illustrates how even the most sophisticated investors can get burned in opaque corners of emerging markets. As the feud between Ireo and its investors wends through India's labyrinthine legal system and plays out in the press, it also threatens to undermine Prime Minister Narendra Modi's efforts to attract much-needed foreign capital. The stakes are particularly high for Singh, who plowed more than $200 million into Ireo funds and has seen his star fade in recent years after a series of wrong-way bets and client withdrawals. The hedge fund manager is leading an effort by Ireo clients to oust Goyal through a U.S. arbitration process and has filed criminal complaints in India, telling more than 70 fellow investors at a gathering at the Westin New York Grand Central Hotel last month that, "If we do nothing, we will largely bleed dry." "It is simply ridiculous that the Indian system can move so slowly," Singh, whose assets under management have slumped to less than $1 billion from $14 billion in 2008, said in an email interview. "The entire country's reputation will suffer badly" if authorities fail to act, he said. Singh declined to comment on his hedge fund's performance. The IREO investment is held outside of Axon's main fund and not part of the firm's assets under management. The 49-year-old Yale University and Goldman Sachs alum began investing in Ireo in August 2006, two years after the firm was started by Goyal, a relative of an influential member of India's ruling Bharatiya Janata Party. Anurag Bhargava, the former head of private equity at Dell's MSD Capital, and Louis Klein, a former analyst at U.S. real estate investment firm Colony Capital, were Ireo's Wall Street-savvy co-founders. Steven Wisch, one of Goldman Sachs's top executives in Asia during the 1990s, was a key early backer and adviser. Lalit Goyal Indian businessman who co-founded Ireo and is accused of fraud. Steven Wisch Ex-Goldman partner who was a key Ireo adviser and investor. He quit the adviser role in 2012. Anurag Bhargava Former head of private equity at billionaire Michael Dell's investment firm. He co-founded Ireo. Louis Klein Ireo co-founder and former investment analyst at Colony Capital. He left Ireo in March. Ramesh Sanka Former Ireo CEO who resigned in 2016 alleging fraud. He's now working with aggrieved investors. Dinakar Singh Co-founder of Axon Capital (formerly known as TPG-Axon). His firm was the biggest investor in Ireo funds and is now spearheading a campaign to oust Goyal. The star-studded lineup proved a hit with investors, and by 2010 Ireo was managing about $1.5 billion in funds with long-term lockups. Outside the hedge fund set, investors included Stanford University's endowment and JPMorgan Chase & Co., which inherited its stake from Bear Stearns Cos. after acquiring the investment bank in 2008, according to a Barron's report in February. JPMorgan and Stanford declined to comment, while Citadel said it's no longer invested. The firm exited its roughly $150 million stake about five years ago. CIFF will take "whatever action is necessary" to recover its Ireo assets, a spokeswoman said. "The results and speed of the investigation by the Indian authorities, and how quickly those involved are brought to justice, are critical to this pursuit." By 2014, investors including Singh had started complaining to Ireo about what they described as poor communication, excessive management fees and a lack of transparency around the firm's transactions, according to court documents, criminal complaints and interviews. Ireo pledged to address the concerns and hired a new chief executive officer, Ramesh Sanka, from India's largest developer. But investor angst continued to mount. In April 2016, the frustrations boiled over: Axon and CIFF demanded access to Ireo's books and an end to the high fees, Singh said. When Ireo instead issued a capital call of $16 million -- with $11 million pegged for management expenses -- Axon and CIFF asked the Supreme Court of Mauritius, where Ireo's funds were based, to block the payout. It went through anyway. Five months later, more than half the investors in one of Ireo's funds petitioned the Mauritius court to appoint an investor-approved liquidator to wind up the fund. Both cases have yet to be resolved. The fraud allegations emerged soon after. Sanka, Ireo's CEO, resigned in December 2016, claiming that he'd seen "various acts of cheating, fraud and misappropriation of money," according to a police complaint he filed. Sanka accused Goyal of siphoning cash from Ireo, shifting assets valued at $1.5 billion to companies under the control of his wife and family members, and hiding or destroying financial records to conceal the crimes. Goyal, who didn't respond to multiple calls to his office and mobile phone, denied Sanka's accusations in a letter to Ireo investors. Goyal also questioned Sanka's credibility, noting that he'd previously been barred from India's securities markets for alleged malfeasance. While a tribunal quashed the case against Sanka, the country's securities regulator appealed to the Supreme Court, which is still hearing the matter. At Axon and CIFF, Goyal's denial has fallen on deaf ears. Armed with Sanka's allegations, the funds filed criminal complaints against Goyal, Bhargava and other Ireo associates in February and June. Sanka, meanwhile, petitioned India's Supreme Court in May to ask law enforcement agencies to take action. On July 11, the court ordered India's police, tax authorities and Serious Fraud Investigation Office to provide a response on Ireo within a month. Bhargava, who was listed as a member of the board of overseers at the University of Pennsylvania's engineering school until being removed from its website earlier this month, couldn't be reached for comment. The school didn't respond to multiple calls and emails. Klein, the third Ireo co-founder, who left the firm in March, declined to comment. King & Spalding International LLP, which is representing Ireo in its arbitration proceedings, has denied allegations against the firm. Sudhanshu Mittal, the influential BJP member who's a relative of Goyal's, said by phone that he has "nothing to do with Ireo." He said in a tweet last month that the allegations against Goyal are false. A BJP spokesman didn't reply to a request for comment. How this saga will end remains to be seen. The way Sanka and Singh tell it, investors in Ireo's funds are the rightful owners of real estate assets that could still deliver big returns if courts rule in their favor. But the value of those properties is far from certain. Real estate transactions have dried up across India after Modi invalidated 86 percent of the nation's cash in November 2016, while tighter regulations on property sales and a new goods and services tax have also pummeled the market. Apartment sales in the nation's top seven cities slowed to the lowest level in at least three years in 2017, data compiled by Anarock Property Consultants show. In another sign of how tough the environment has become, shares of DLF Ltd., India's biggest developer, tumbled 26 percent in Mumbai trading this year through Tuesday. They're down 84 percent from a January 2008 peak. Most foreign investors have given up on India's property sector, according to S. Sriniwasan, managing director at Kotak Investment Advisors in Mumbai. "For overseas funds, India stands for 'I will Never Do It Again' when it comes to investing in real estate development," Sriniwasan said. As for Singh, he's still holding out hope for a happy ending. "What's left to gain is substantial," he said, adding that at least 76 other Ireo investors have expressed support for his campaign. "If we can get our land back, we can still make a lot of money."